Woodruff Park is located at 91 Peachtree Street NW, bordered by Edgewood Avenue, Peachtree Street, Auburn Avenue, and Park Place. 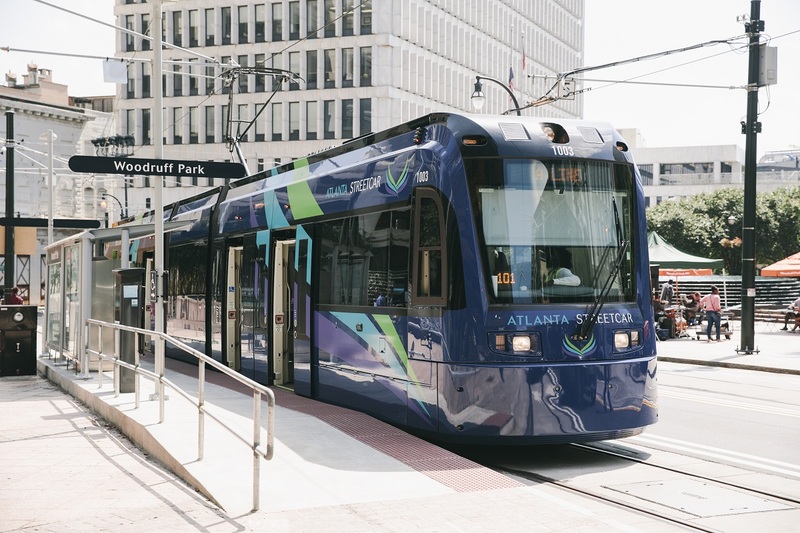 Woodruff Park is easily accessible via MARTA bus and rail, and two Atlanta Streetcar stops—Park Place and Woodruff Park—are located in the park. The park is also home to a Relay Bike Share hub. The park does not have dedicated parking, but paid parking options, including lots, garages, and on-street parking, are nearby and plentiful. Consult the Atlanta Public Parking Map to explore your options.